Many thanks to our worthy Trustee Ray Iacovone for coordinating the collection and distribution of St. Bridget’s Parish’s donated foods as part of the diocesan FaithFULL Food Drive campaign on March 6. It was a great showing this year and we in no small part helped the diocese exceed their goal! Thank you to everyone who came out and supported our annual pancake breakfast fundraiser on February 7. Our Knights hope you all liked the tasty vittles. We are always happy to serve our community! We were very proud to host our second annual spelling bee at Saint Michael the Archangel Regional School in Clayton on February 2, 2016. It was a great showing by all the students. A hearty congratulations to our winners, 1st place – Isabella Muchler, 2nd place – Jack Stewart and 3rd place – Carly Zaccaria. Pictured below: Ms. Bruni, principal; Doug Miedel, Recorder; John Walsh, PGK; Carly Zaccaria, 3rd place; Isabella Muchler, 1st place, Jack Stewart, 2nd place; Mike Walsh, DGK; Jim Cosgrove, GK; Mr. Safiodi, 8th Grade. Pictured here: Ms. Bruni, principal; Doug Miedel, Recorder; John Walsh, PGK; Carly Zaccaria, 3rd place; Isabella Muchler, 1st place, Jack Stewart, 2nd place; Mike Walsh, DGK; Jim Cosgrove, GK; Mr. Safiodi, 8th Grade. Black Friday is almost here! Are you planning to shop for the sports fan or athlete in your life, consider using this Modell’s coupon and receive 15% off any purchases. 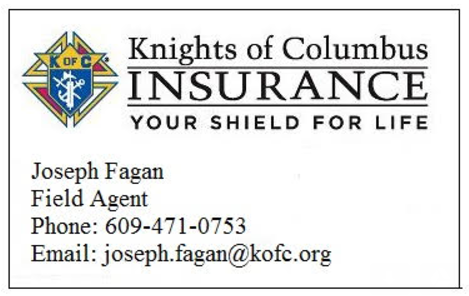 Through this fundraiser, Knights of Columbus Council Assumption Council 3397 will receive 5% back on all purchases made from November 27 through December 24. The coupon can be used for multiple purchases and at any location or online, not just the Philly locations indicated on the coupon. Feel free to share with friends! And thank you for supporting Assumption 3397 and our social service projects through this fundraiser. A Knight never shies away from helping an organization in need. This week, the message of the Holy Father to “help those in need” was heard and delivered by our council. At our Thursday business meeting, Outside Guard Michael Shawaryn reported that Angels of God Clothing Closet, a local nonprofit that provides clothing and more to those in need at no cost and also features a small food bank, had nearly barren food shelves . 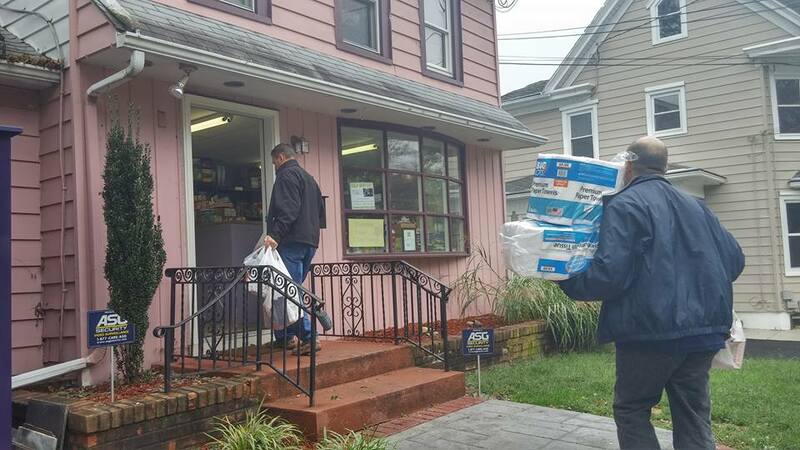 Several Knights immediately responded with a promise to provide shelf-stable groceries for the organization, based in Pitman, N.J. By Saturday morning, our Knights delivered an SUV full of food to Angels of God, all purchased by the individual Knights themselves. Elissa, the co-owner of the pantry was very pleased and excited that we brought the food and talked to our Knight’s at length about what Angels of God does and other needs they have. It turned out to be a very productive visit and we look forward to doing more things with this worthy organization in the future. Knight’s Jim Cosgrove and Michael Shawaryn puase to take a photo with co-owner Elissa. Just a small portion of the many goods our Knights brought to the organization.